1. Cosrx Salicylic Acid Daily Gentle Cleanser reduces breakouts and gently removes impurities without harshly stripping or drying out your skin (aka potentially causing new acne in the process). Get it from Amazon for $10.51. 2. Nip + Fab Daily Cleansing Pads contain 2.8% glycolic acid for gentle chemical exfoliation, revealing brighter and clearer skin every day — plus hyaluronic acid for moisture and witch hazel to tone and soothe. These are designed to resurface and retexture your skin, revealing an exfoliated and brightened complexion beneath! Get a container of 60 pads from Amazon for $6.55. 3. 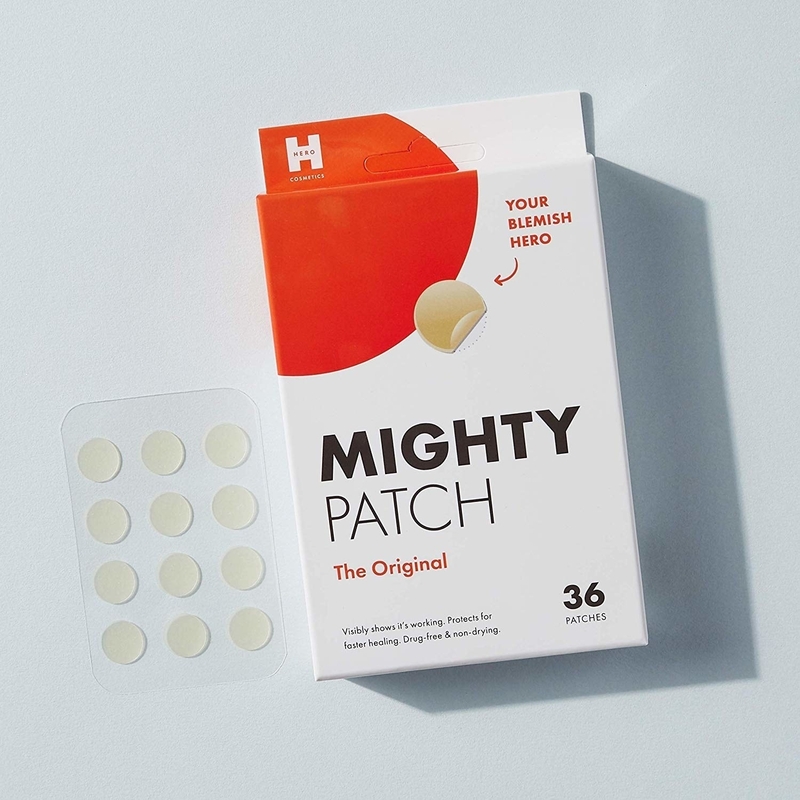 Mighty Patch Pimple Patches absorb pus and oil from *inside* the zit, protecting skin from further damage and reinfection so you don't have to hot compress, pop, ooze, scar, and repeat. Get a 36-pack from Amazon for $12.34. 4. *OR! * Avarelle Acne Cover Patches are formulated with tea tree oil and calendula oil (to heal and shrink zits faster) AND come in four(!) 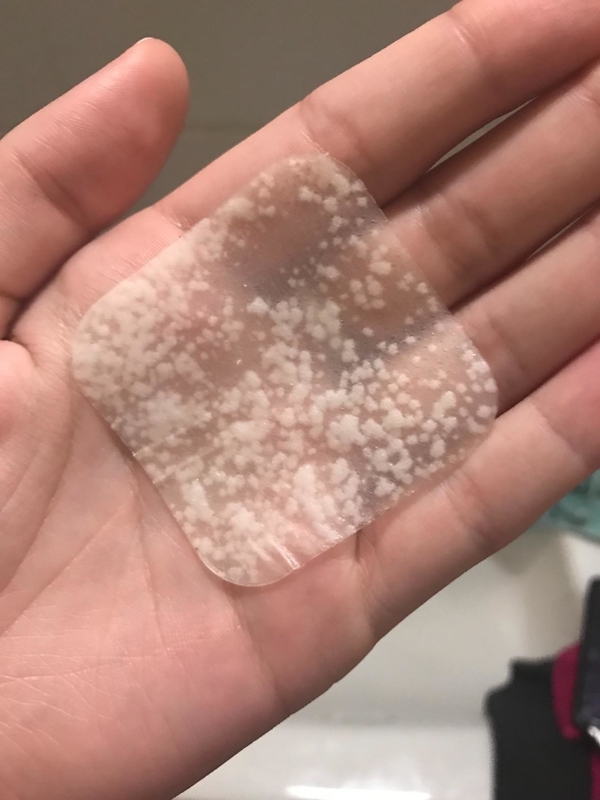 sizes — small, medium, and large circles PLUS large, square patches so you can easily treat and shrink clusters of pimples all at once. 5. Acure Brilliantly Brightening Facial Scrub says "BEGONE!" to dirt and oil. It's formulated with sea kelp and French green clay to soften and detox your skin *without* removing all the moisture so it doesn't cause new breakouts. 6. Diva Stuff Anti-Bacterial Pillow Mist kills acne-causing bacteria so you don't have to change out your pillowcases as often. AND, thanks to it's soothing lavender scent, you'll be off to a solid dose of beauty sleep in no time. 7. Glossier Solution is an easy-to-use exfoliant chockfull of promising acids (AHA, BHA, and PHA, oh my!) that reduce acne and dark spots, brighten, improve skin tone and texture, unclog pores, exfoliate, and reduce signs of stress. Like, that's a lot of stuff. We *also* love solution — learn why several BuzzFeeders love it in Here's Why The Mega-Popular Glossier Solution Is Totally Worth Your Money. 8. A Foreo Luna Mini 2, a silicone face-cleansing brush designed to wash and exfoliate, scrubbing every drop of makeup, dirt, and oil from your face with each vibrating pulse so you know you're getting a *thorough*, pore-clearing clean — in just 60 seconds. It'll totally remove your makeup, dirt, and oil, AAAAND gently exfoliate your skin in just 60 seconds (I know). ^That's me! I love this handy lil' device SO much. 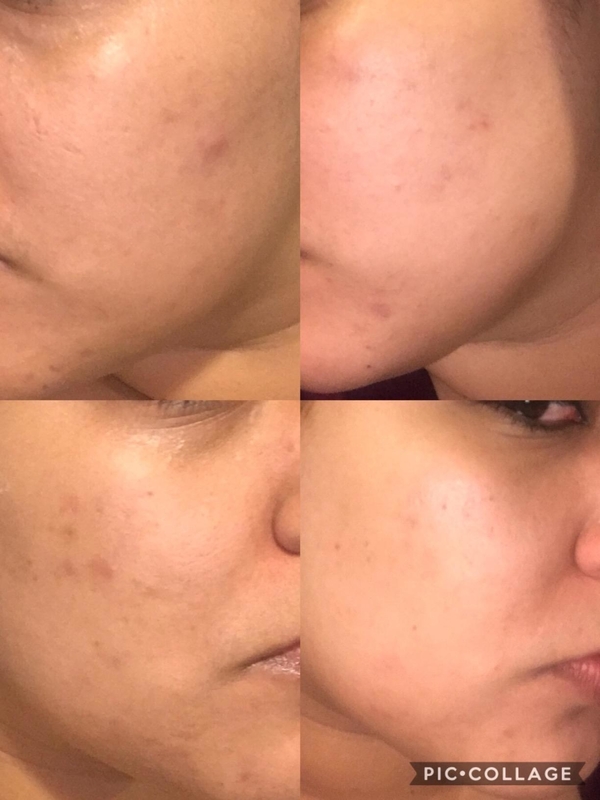 It's DEFINITELY helped clear acne and fade acne scarring. Check out my in-depth Foreo Luna Mini 2 review for all the deets! 9. 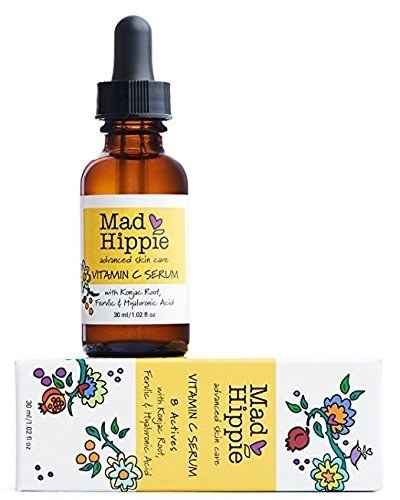 Mad Hippie Vitamin C Serum is like a big ole glass of OJ for your face. Thanks to its blend of antioxidants, vitamins C and E, ferulic and hyaluronic acids, not only will it help you get that "woke up like this" glow and reduce discoloration, but tons of reviewers note that it's helped clear their skin! While writing this, I actually bought this myself, so I'll keep you guys posted on how it goes! 10. Or if you're looking for something a little stronger, Eva Naturals Skin-Clearing Serum combines 20% vitamin C with 2% salicylic acid, hyaluronic acid, retinol, and niacinamide to reduce inflammation, soothe irritation, and even out skin tone. 11. My Konjac Activated Bamboo Charcoal Sponge physically exfoliates your skin, but super gently, while the activated charcoal removes excess oil and combats bacteria, meaning smoother skin today and less acne in the long run. They do disintegrate over time, so swap it out every couple of months! 12. Teena is not only perfectly pink, but packs a powerful punch with ingredients like salicylic acid to banish blemishes, calendula to reduce swelling, hemp seed oil for *non–pore clogging* deep moisture, and vitamin B5 to heal and soothe. We love a multitasker. 13. Human Benzoyl Peroxide 10% Treatment contains the maximum dose of benzoyl peroxide — aka it's NAHT for sensitive skin — so it's a great (and cruelty-free) option that'll clear pores and kill bacteria to give you long-lasting results for the most stubborn acne. 14. Tatcha Silken Pore Perfecting Sunscreen might finally get you to put on sunscreen — and do so every dang day. Want SPF but afraid it's gonna make you break out? 1. Same. 2. This weightless, broad-spectrum SPF 35 formula won't turn greasy, and the Japanese wild rose will actually diminish the appearance of pores. **91% of users reported that their skin appeared clearer after four weeks** That's all! 15. 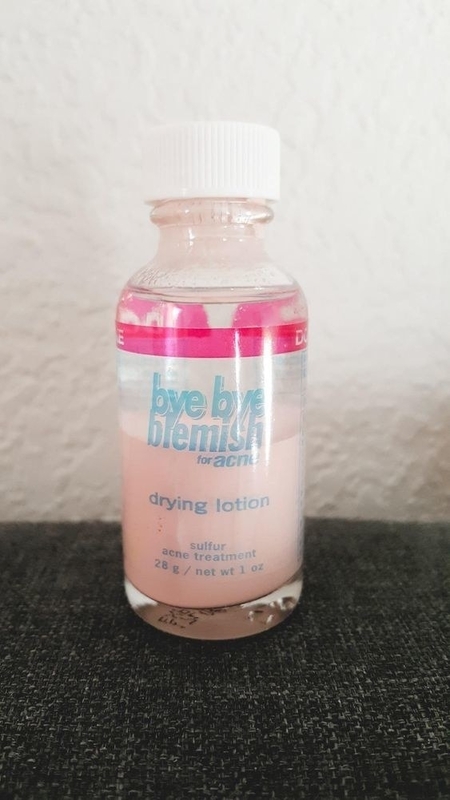 Bye Bye Blemish Acne Treatment Drying Lotion is infused with salicylic acid, sulfur, and other all-natural ingredients to dry out acne spots without drying out your skin. Don't shake before use! Just dip a Q-tip right in and apply. 16. Origins Clear Improvement Active Charcoal Mask clears out pores, rids skin of pollutants from the air, removes excess oil, and squashes any burgeoning pimples in their tracks. I even use it as an overnight spot treatment on any undergrounders that aren't quite ready for a pimple patch yet. Get it from Sephora for $26 (also available in a travel size for $13). 17. Skinfood Egg White Pore Foam tightens skin and pores, thanks to protein-rich albumen (that's the egg white) so your skin is ridded of oil and impurities, leading to fewer breakouts and surprise clogged pores in the long run. 18. Alba Botanica Hawaiian Pineapple Enzyme Facial Cleanser removes impurities and buffs away dead skin while nourishing with a potent blend of pineapple and papaya enzymes. A tropical vacation away from acne? Sign me up! 19. Aztec Secret Healing Clay Mask ~pulsates~ as it works its magic, banishing the toughest acne and deep cleaning your pores with calcium bentonite clay. If you have sensitive skin, leave it on for five minutes, and if you have normal skin, you can leave it on for up to 20! Check out more incredible before and after photos here! 20. Neogen Real Fresh Green Tea Cleansing Stick makes taking care of your skin while traveling so much easier. No suitcase spills, no taking up tons of carry-on room. Just swipe the stick all over damp skin, and the blend of 13 natural oils will breakdown cosmetics while the bits of green tea leaf gently exfoliate. Hello brighter, clearer skin! Get it from Soko Glam for $22. Promising review: "I switched to this product about a month ago (was previously using Banila's Clean it Zero Purity oil cleanser). 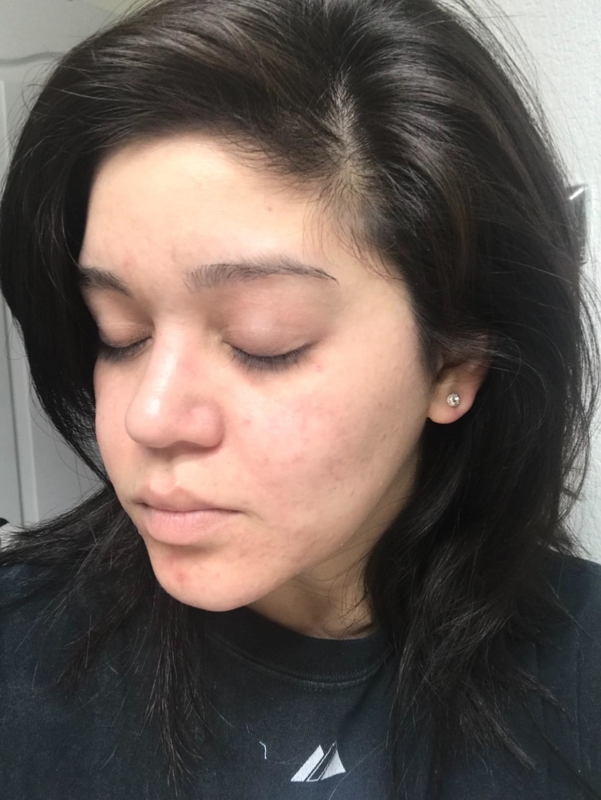 I suffer from adult cystic acne and i felt like Banila's oil cleanser was too heavy for my skin and may have been causing or worsening my acne. After switching to this, I have not had a single cystic acne breakout and my skin has been so much clearer! This product feels so good on your skin, is light and easy to apply, and the green tea flakes gently exfoliate and soothe my skin. Will be buying this again!!" —Sami B. 21. Garnier SkinActive Micellar Cleansing Water has your back when it comes to effortlessly cleaning your face. It *gently* removes makeup, dirt, grime, and residue from the day, leaving your skin cleansed but not stripped. 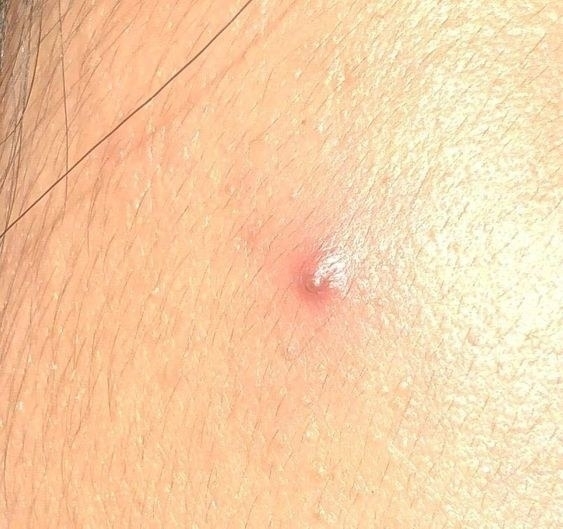 Dry, acne-prone skin? You might be cleaning too harshly. Get it from Amazon for $6.48 (available in three varieties: regular, waterproof, and oily). Psst! This won best inexpensive makeup remover on BuzzFeed Reviews! 22. Radha Rosehip Oil has over 4,800+ reviewers who say it not hydrates their skin, but also reduce redness and breakouts, thanks to the rich blend of fatty acids and antioxidants. Learn more in This Facial Oil Will Solve All Your Skin’s Problems. 23. Burt's Bees Daily Moisturizing Cream for Sensitive Skin dispenses neatly, thanks to its easy pump action — no sticking your fingers in a jar of cream. Plus the sensitive skin–friendly formula is packed with gentle ingredients like jojoba oil (to moisturize *without* making skin greasy), cotton extract (to soften skin), and aloe vera (to soothe and reduce irritation). If your acne gets worse when you've try harsh ingredients, THIS IS FOR YOU! Me 'n' my sensitive skin and adult acne breakouts are OBSESSED with this moisturizer! It's the first time I haven't had to blot my shiny forehead *once* throughout the day, and my skin is super soft and plenty hydrated. Thanks, Burt! 24. Dr. Oracle A-Thera Tea Tree Peeling Sticks target congested pores and blackheads, precisely exfoliating (hello blend of AHA and BHA), lifting dead skin cells, and smoothing bumpy skin with the giant Q-tip–esque stick. But they're *also* calming, so won't irritate your delicate skin in the process. Just use 'em once or twice a week after cleansing, swiping in an upward motion (especially on your T-zone). Get a pack of 10 sticks from Soko Glam for $24. Promising review: "Bye bye zitty city! 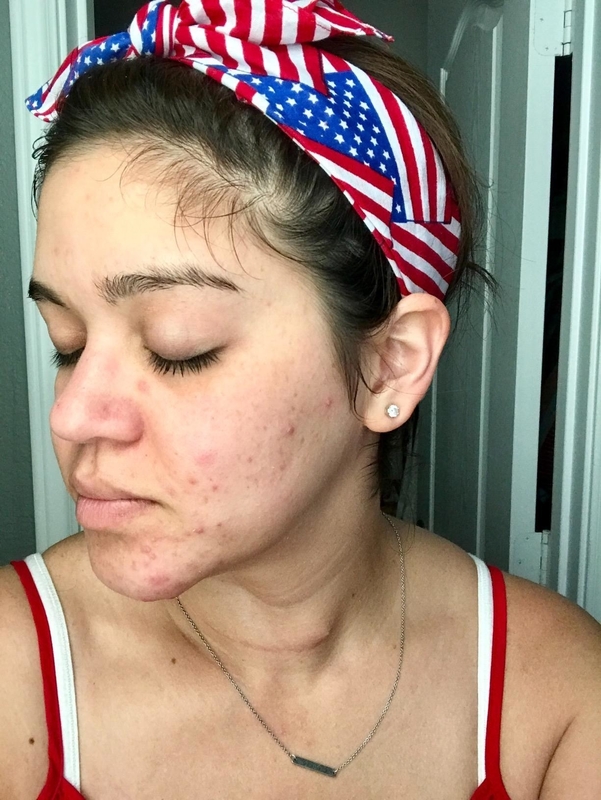 I’ve been struggling with cystic acne for a while and not feeling so cute, so I took matters into my own hands and researched the best ways to fix it... These giant cotton swab bad boys have really been helping! I’ve also been using that green tea cleansing stick [editor's note:#20 in this post] which also might be a huge factor. Either way, I’m lovin’ it! :)" —Chelsea B. 25. TreeActive Invisible Acne Treatment lives up to its name, going on CLEAR so you can wear it under makeup or on its own — no one will know the peppermint and tea tree oil formula is going to town on your zits, reducing size and redness. Promising review: "I used to use Zapzyt (benzoyl peroxide 10%) as spot treatment, but it just stopped working one day. 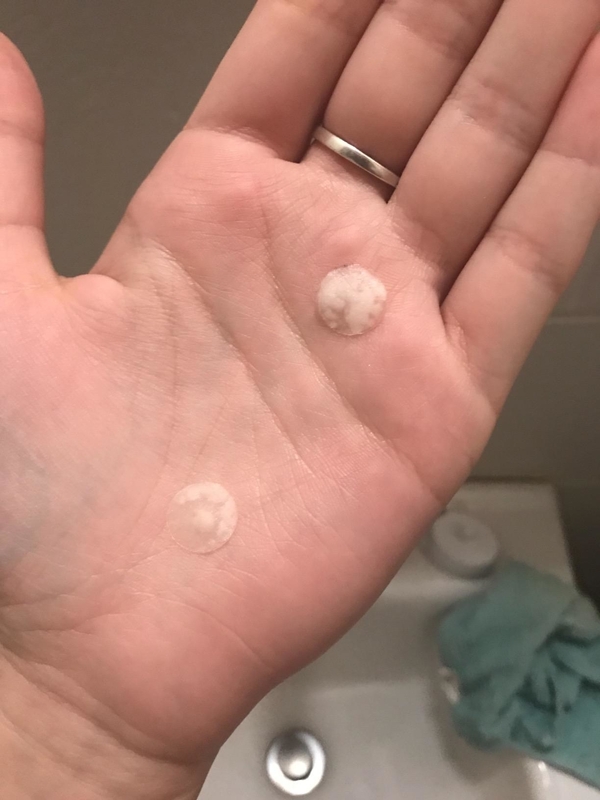 After trying a bunch of different products using salicylic acid, benzoyl peroxide, and even trying some corticoid creams. NOTHING WORKED!!!! 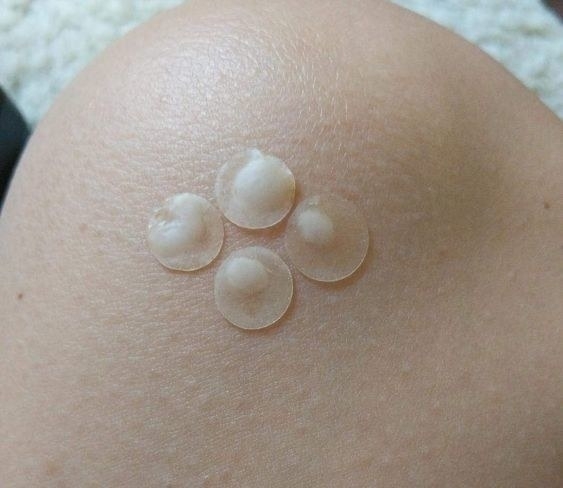 I ended up looking up some other natural solutions and came across this spot treatment. After using it for a week on two of my stubborn pimples (that I had basically tried every type of product on), THEY FINALLY WENT AWAY. I WAS SHOCKED. 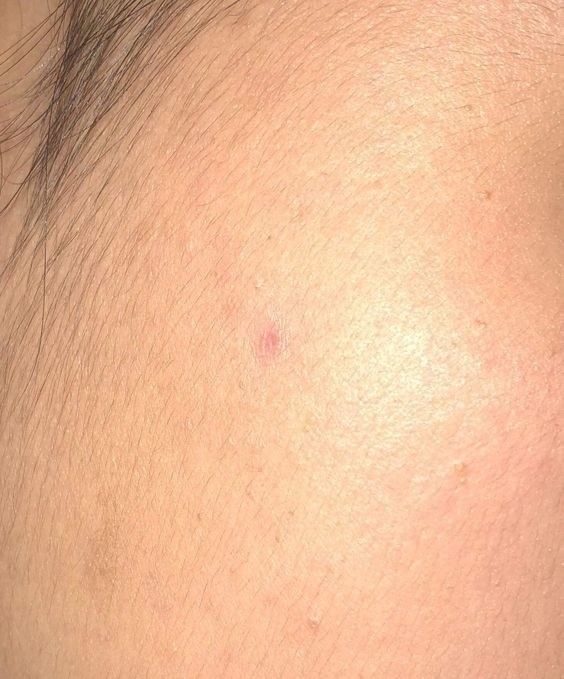 They were on my face for at least three weeks before I tried using this spot treatment, and they went away in less than a week! I recommend this to anyone who has stubborn acne like mine. Another plus is, this stuff feels and smells way better than any other acne treatment I've tried. Other treatments dry my skin out like nobody's business leaving my skin patchy, while using this didn't really affect my skin moisture. Also, it leaves a nice minty feeling on the skin for the first few seconds it is applied. I looooveee the smell of it. Definitely will buy again when I run out!" —Annabelle H.
My skin, every time it clogs a pore to bring FrEsH sTrEsS to my life.